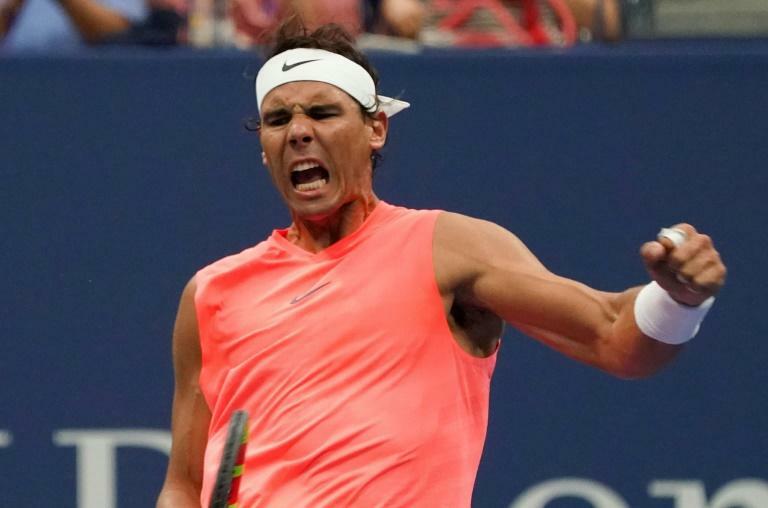 "I was in a tough situation and I am very happy to escape," said Nadal who has now reached the fourth round in New York for the 10th time. "I served for the match at 5-4 in the fourth set but made mistakes. "The good thing is that I will get another chance and I can work on things before the next match." Khachanov, 22, bidding to make the last 16 of a Slam for the third time this year, made his intentions clear from the start -- the only way to beat the Spaniard, against whom he had lost four times in four, would be all-out attack. The delay worked to Nadal's advantage with a love service hold and a break to level the contest. Anderson, unable to convert four match points against Shapovalov's serve in the penultimate game, served it out with a love game of four unreturnable serves. The fifth seed, runner-up to Novak Djokovic at Wimbledon, next faces ninth-seeded Austrian Dominic Thiem, who didn't have the luxury of a roof in a 3-6, 6-3, 7-6 (7/5), 6-4 victory over American Taylor Fritz on Grandstand.